Yesterday, I spent all day at my friend Chris’ farm, video taping her working her horse Frank for the Extreme Cowboy Race application video. We got some really good clips of Frank and Chris doing what they do best, riding as partners. 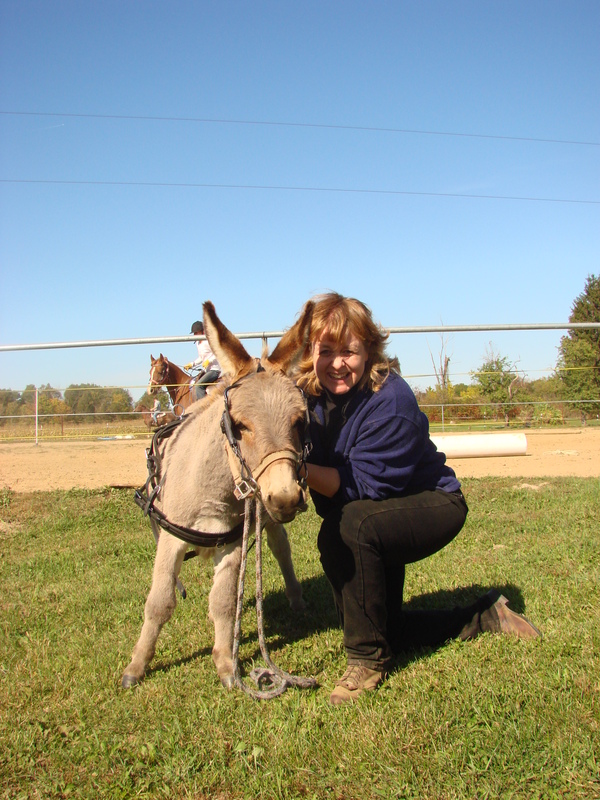 BUT….the best and cutest part of the day was at the end of the day when Chris did the horse chores and had to move Pico, the Mini Donkey from his pasture into his paddock for dinner. 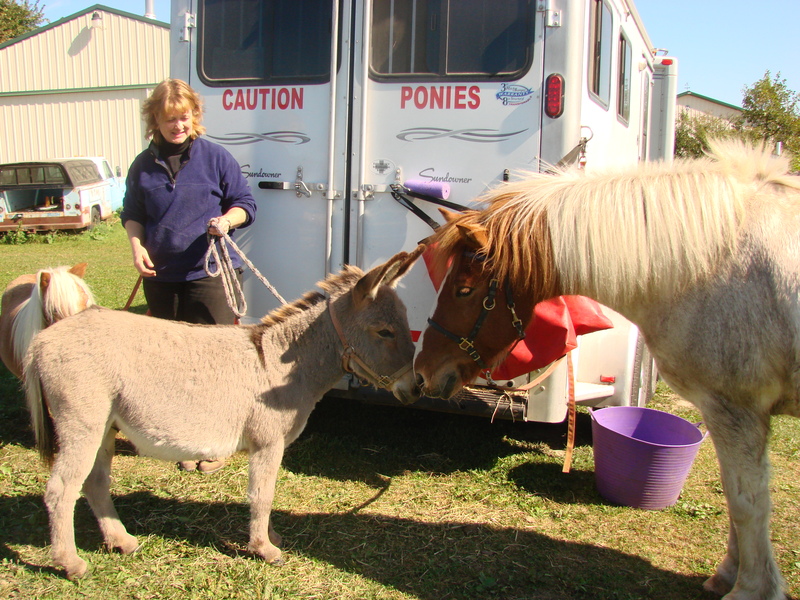 Pico, is a yearling mini donkey who was just gelded a few months ago. Dixie Chick….not so much! HAHA! Back in March, Huginn and I attended a Cattle Sorting clinic. Yes…a long time ago! HA! The trainer was my friend Chris from SRBA Farm. Huginn and I had such a fun time! Huginn loved …LOVED sorting the cattle, towards the end he really got into it, pinning his ears and all. What a hoot! Huginn and me, after the clinic. He’s all sweaty from the hard day of fun work. Is Huginn CUTE or what??!!! I love my pony! What sort of fun things have you done this year? I VOTED!! How ’bout You? Got home from work with a HUGE migraine, but I was determined to get my vote out! 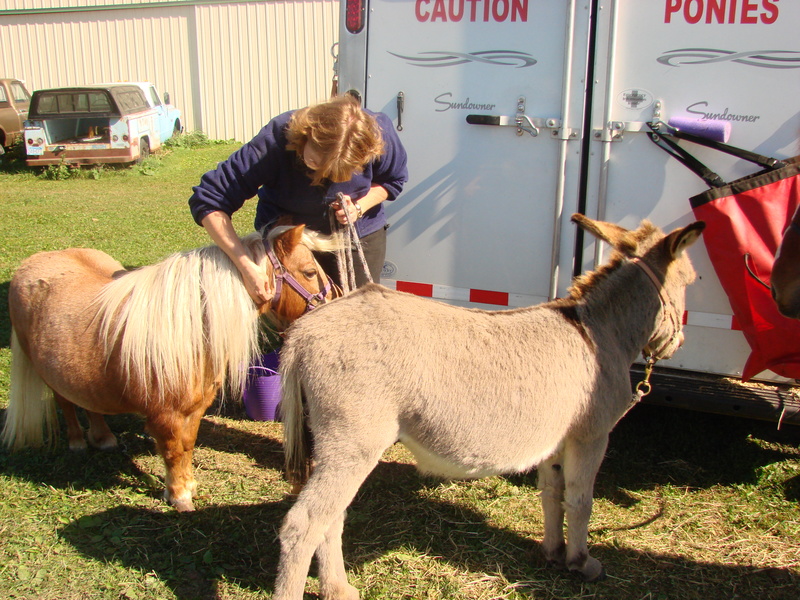 So, I tacked up my Icelandic Horse Huginn, and I rode him to KinnicKinnic Township Hall to cast my vote for Barack Obama. My hubby Dan joined us on his bike. We had a great ride to the township hall. It’s about a 5 mile round trip ride. The weather was almost perfect; it was warm, cloudy and windy. Perfect for Huginn! Along the way, we bumped into a woman from Germany who was out for a walk. She’s one of our new neighbors that we hadn’t met yet. She got a giggle out of the fact that I was riding Huginn to the polls and Dan was biking with us. Only in America…she said. Then we ran into a truck driver who was parked along side the field of corn, he was waiting for the farmer in the huge beautiful John Deere combine who was hard at work bringing in the corn harvest. The truck driver waved and gave us a “thumbs up”. The farmer was harvesting the corn field …. behind my hay field. Click HERE to see a John Deer Combine harvesting corn video. Petty cool…huh? Once at the township hall, we were greeted with smiles and giggles, as folks walked from their cars into the hall to cast their votes. A few walked over to ask if I had ridden the pony to vote, few asked about his breed and a few took his photo. As I walked in to vote, I was proud to be an American and take part of this privilege called voting. After casting my vote, I walked out and was asked by one of the Vote Observers if the pony tied under the tree was mine. I was proud to say, yes he was. He asked me why I decided to ride my pony down, I explained to him that I was conserving fuel and that I also wanted to ride my pony Huginn, on this historical day. I wanted Huginn to be part of my memories for this day. On the way home, we passed lots of drivers heading to the polls, many of them ….smiled and waved. About a mile from home, we passed a old rattling Ford truck driven by a gentleman and the front seat filled with …I presume his grandkids. As he slowed down, all the kids scooted forward and lean across the man to peek out the driver’s window at the cute pony on the road. That truck was filled with sunshine smiles and little kid’s giggles. They all waved at us….as they slowly passed us. This day is indeed filled with memories. This day is indeed a day that history was made for our country. I’m proud to be an American! And I am proud of my All American Ice Pony, Huginn! What memories were made for you today? 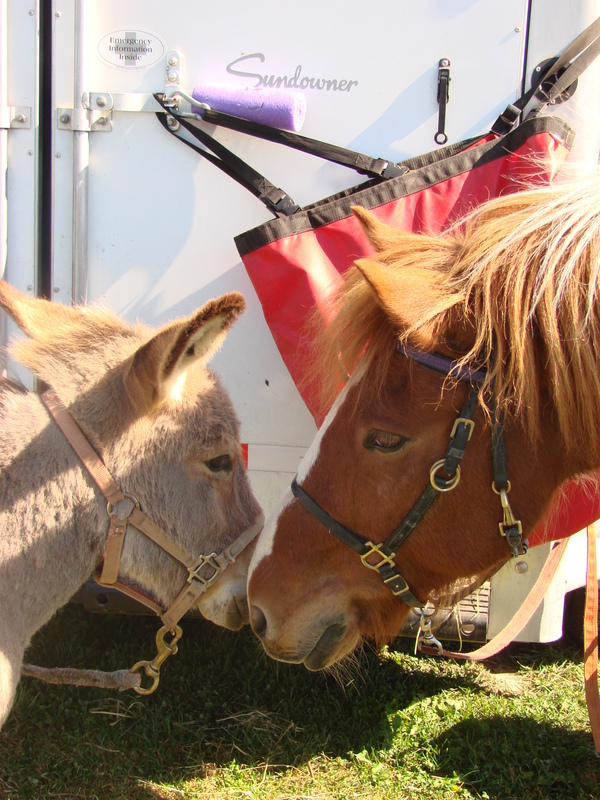 Looking for something FUN to try with your horse? 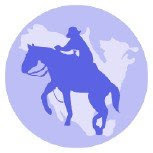 Check out Competitive Trail Riding with the North American Trail Ride Conference (NATRC). 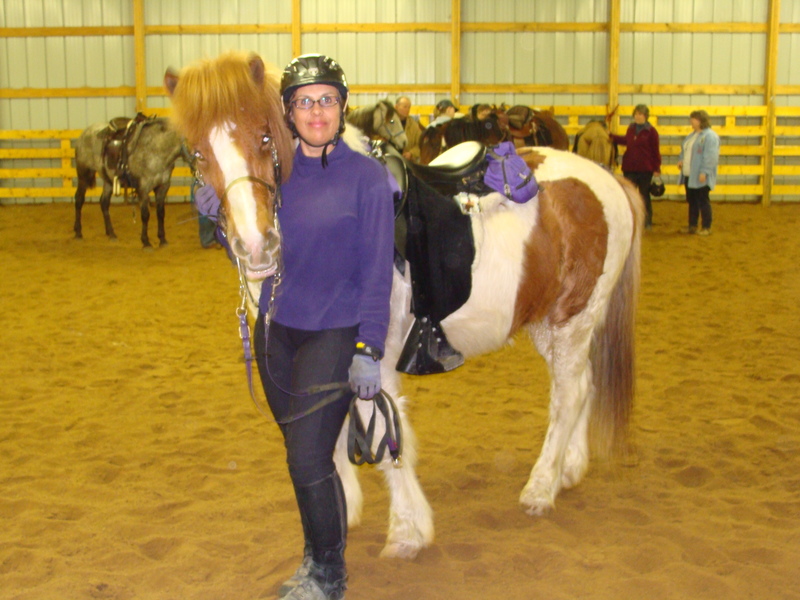 A few summers ago, Huginn and I attended a CTR clinic and we loved the fast pace trail ride. Maybe next year, we’ll have to try a CTR. Visit the NATRC site for more info and to see a CTR video. Enjoy! Doesn’t that sound like FUN!? What new things can you try with your horse? Really Cool Blogs & Sites to Visit!